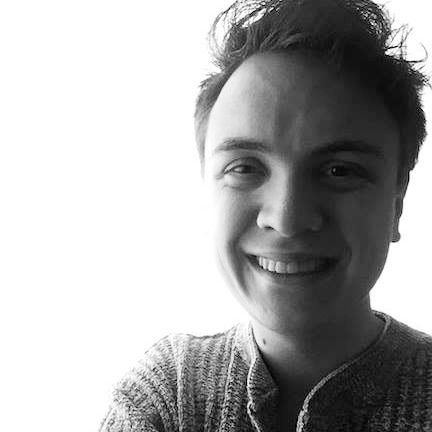 At Ripon College, Zachary Peterson ’16 discovered his passions in life, and now he is hoping to use his skills to address institutional mental health in the United States. Peterson is pursuing a master’s degree in the English Writing Program at the University of Wisconsin-Eau Claire, where he is a graduate assistant director in the Center for Writing Excellence and a faculty research assistant in the English Department. For his master’s thesis, he is researching “the institutional mental health narrative in the United States and how we think about and process narratives such as mental health that have complex, sometimes unpleasant, pasts. My purpose is to bring voices to back into such narratives,” he says. When applying to colleges as an undergraduate, Peterson had been looking at a different school to attend. But during a family trip to visit friends in the Fond du Lac, Wisconsin, area, Peterson’s parents scheduled a visit to Ripon College. He says the ability to take classes outside of his major area and work in the Office of Advancement “gave me leadership and personal growth experience,” he says. “What was most rewarding about my time at Ripon College was really becoming a part of a family that includes classmates, alumni, co-workers, faculty and staff. Knowing that we truly are a unique family that has and will continue to make a mark on the world. After earning his master’s degree, Peterson plans to pursue a Ph.D. in English-rhetoric and composition. Posted August 6, 2018 in Alumni by Jaye Alderson.